Every year among the early dates of February, a prominent game of football occurs. It’s known as the “Super Bowl.” Alongside this huge event, there is a mimic game called the “Kitten Bowl.” It’s a cuddlier version of the Super Bowl which, as expected, involves kittens! 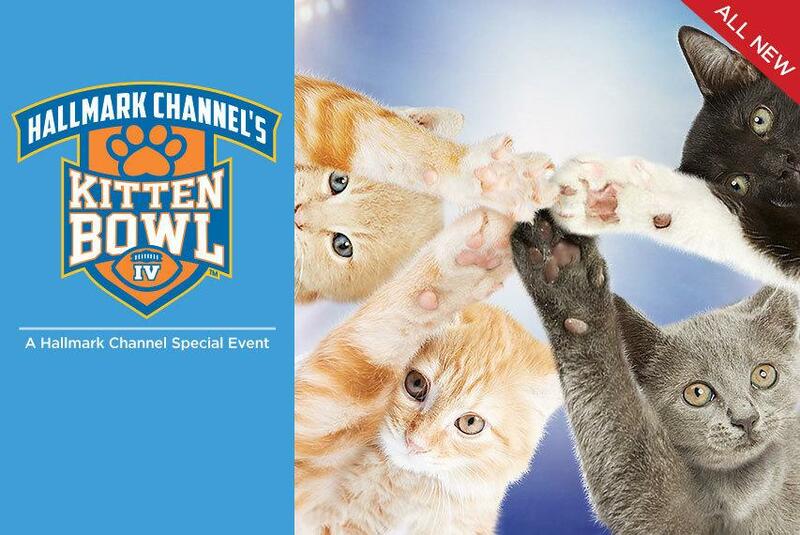 Like the Super Bowl, the Kitten Bowl has competing teams. One team is called “The Last Hope Lions.” This team is coached by Coach Hairball. The team’s players are as follows: Tony Slo-Mo, Brownie, Catsanova, Julius Peepers, Mambo, Mitzi, Pounce de Leon, Bobcat Gurley, and Shorty. The next team is called “Boomer’s Bobcats.” They’re coached by Coach Tubby. Their members are: Tom Bratty Cat, Snowflake, Pickle, Moose, Hissing Bolt, Hairy Fitzgerald, DeMarco Purry, Daisy, and Cuddles. The third team is called “The Home and Family Felines.” This team consists of Squeaks, Spuds MacMuffin, Paw-Dell Beckham Jr., Noodle, Mew Brees, Frank, Beans, Bacon, and Cubby. The coach is called Coach Fish Kelly. Last, but certainly not least, are “The North Shore Bengals.” Coached by Coach John Hairball, this team is made up of Twinkle, Toffee, T. Wrecks, Sir Prance-A-Lot, Pork Chop, Laser, Jelly Bean, Jalapeno, Furry Bradshaw, and Dijon Sanders. These cuddly creatures are available for adoption, as well. Fortunately, the warm and cozy abode of anyone who’s willing can become the new home of even a famous Kitten Bowl team player. On Sunday, parallel to the Super Bowl, I had the pleasure to view this cute competition. The Kitten Bowl entertained me, though I’m not a fan of football. These furry fellows made for great team players as well as adorable and fierce furballs. My favorite team members by far were Mew Brees, Tony Slo-Mo, Snowflake, Hairy Fitzgerald, and Spuds MacMuffin. Don’t forget to tune in next year on the Hallmark Channel to watch some charming kittens pounce their way to victory!